"No less than 27 Bigfoot in this photo"
We have all seen them, you know the ones I'm talking about, the pictures of some beautiful dense mountain scenery. 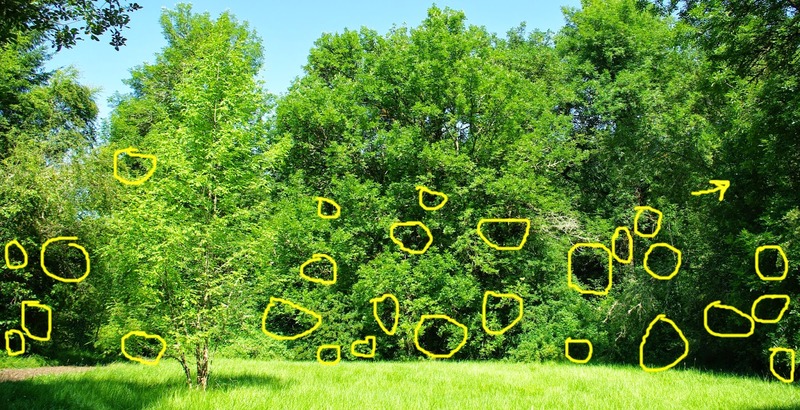 Then the next picture of the same exact picture will have 27 yellow circles on it and a caption that reads "no less than 27 Bigfoot in this photo". Really? Oh yes, most of the people who post photos like this are serious, but for the typical observer there is just simply nothing in the photographs that could be a Bigfoot. 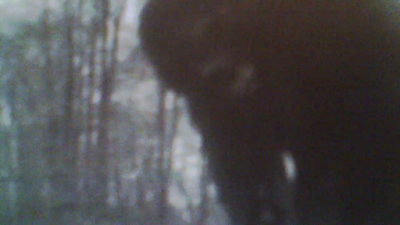 Some of the photos do contain tree stumps and dark shadows, but that don't equal Bigfoot. It makes me wonder how long this type of thing has been going on. Have others over the years seen Bigfoot in every photo of foliage? With the explosion of social media, this type of thing has really been pushed to the forefront in the Bigfoot research arena. And regardless of what the poster tells everyone, these photos of stumps, shadows and leaves do not help the validity of Bigfoot research. There are numerous individuals who post 100's if not 1000's of photos to social media sites, mostly Facebook, and make outlandish claims of multiple Bigfoot in every photo. Have they ever taken a photo without a Bigfoot in it? Some will tell you "No", that ever picture they take while out researching has a Bigfoot in it. What I continue to find amazing is that these attention seekers tent to slowly build a loyal following. 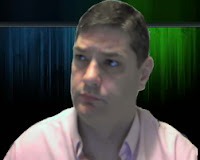 A following of people who will defend their Bigfoot rock star and their photos, tooth and nail. They are ready to fight you if you say stuff like "I don't see it" or "their is no Bigfoot in the picture". If you ask too many question or say you don't see anything, you get replies of "you have to train your eyes to see them" or "it's cloaking, that is why it's hard to see". So it is invisible but you can see it because you have trained your eyes to see invisible objects? Hmm, is there an online course for that? Some may not like my use of the term "attention seekers" but for the most part if you follow them on social media, you will see they are always talking about getting some Bigfoot celebrity to view their photos. Some will even post their photos (of nothing) to the facebook pages of popular TV shows or to the host of the shows personal facebook page. Some even post how they have emailed the photo, with no less the 27 Bigfoot in it, to the producers of some of these TV shows. I'm sure about all of these producers have a chuckle and then delete the photos. I have recently become aware of the fact that some of these people are now asking for money from their followers to "buy better cameras". Well, if these new cameras will allow us with "untrained eyes" to see invisible objects, then I might kick in a couple bucks. I always wondered what Wonder Woman's invisible jet looks like. All this makes me wonder, what is really causing this irrational and somewhat delusional behavior. I have seen people who have actually had a Bigfoot encounter go off the deep end after their sighting. Once they go off the "deep end" they start seeing Bigfoot every where. Every photo and every sound becomes a Bigfoot to them. I have seen this behavior last for a few weeks and then the person is back to a normal state with normal perceptions. Other times I have seen the "off the deep end" effect last for what appears to be a lifetime. So, what causes this effect? is it just the shear shock of realizing that indeed Bigfoot is real and it's out there, or is it some kind of mind trick initiated by Bigfoot itself? By mind trick I mean, there are reports of being "Zapped" by Bigfoot. This is something I partly believe in based on a personal experience many yeas ago. I've read reports where others have been "Zapped" and they became sick and threw up. Could there be different levels or depths to this Bigfoot "Zapping"? It would appear that if "Zapping" in fact happens, then there could be varying degrees to it. The use of infrasound is something some other animals use, so maybe Bigfoot has it as well. So could this explain why some of these photo takers see Bigfoot in every picture? Does it somehow mess their mind up? I guess it is a possible explanation but what about their followers, who have never had a Bigfoot encounter? Why are they seeing Bigfoot in every photo? Could it simply be the power of suggestion? I think it could very well be. Some days seeing all these photos of supposed Bigfoot and reading the wild claims gets to me a little, other days I just laugh at them and move on. I think stuff like some are posting to social media and making wild claims of Bigfoot in every photo are hurting the Bigfoot research field. Could this possibly be the plan? to sow doubt among people. It could be but it's hard to say when it comes to the Bigfoot field. On the frustrating days, when these types of pictures are being posted, it would be easy to just jump on the person and tell them they are delusional or "debate" with them about the photos. Which in days past I probably have done to a small extent. But, in the end I guess it is better to just ignore them and tolerate them. A lot of "debating" about any topic become useless at some point and just kills productivity. If the Bigfoot world has taught us anything, it is to tolerate those who have a different opinion that us. So we as a collective group should extent this tolerance to our own colleagues, even if they seem to be "out in left field". I'm not saying for you to see bigfoots when there are no bigfoots, but to avoid the long, exhausting "debates" that don't change anything. You can't really label some of these people as hoaxers, because I think they actually believe there are Bigfoot in their photos. Maybe we need a new term for this. Maybe these people need to get out in nature more, I don't know. So, what are we to do? I say tolerate them as best you can and if it gets to be too frustrating for you, then just block or unfriend them. It would be better to do this than waste time "debating" too long about it. Bigfoot is real, but so are shadows and stumps. Is This A Yowie Cloaking? Want To Gain More Knowledge About Bigfoot? The Power Of Ouija Boards – Real Or Fake?